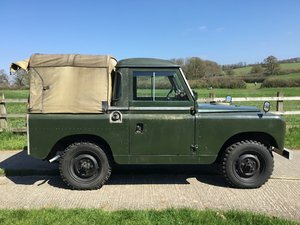 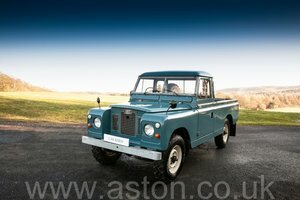 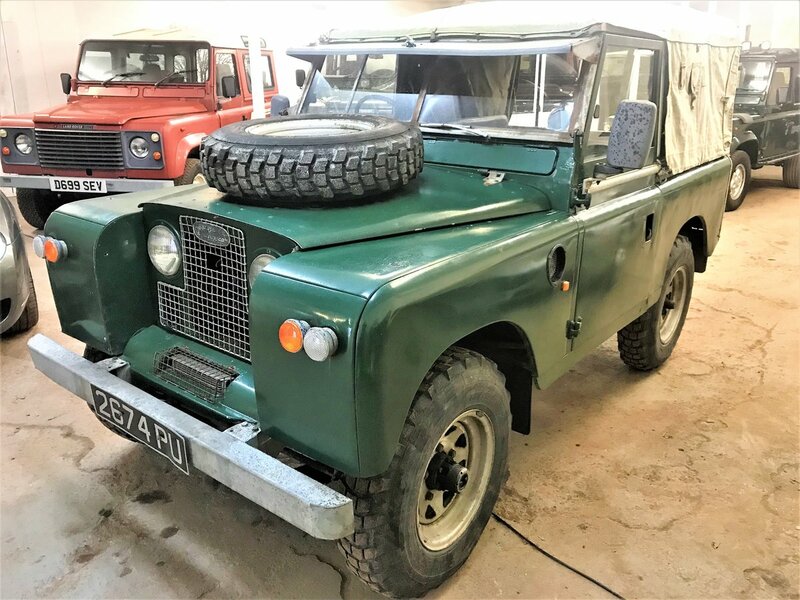 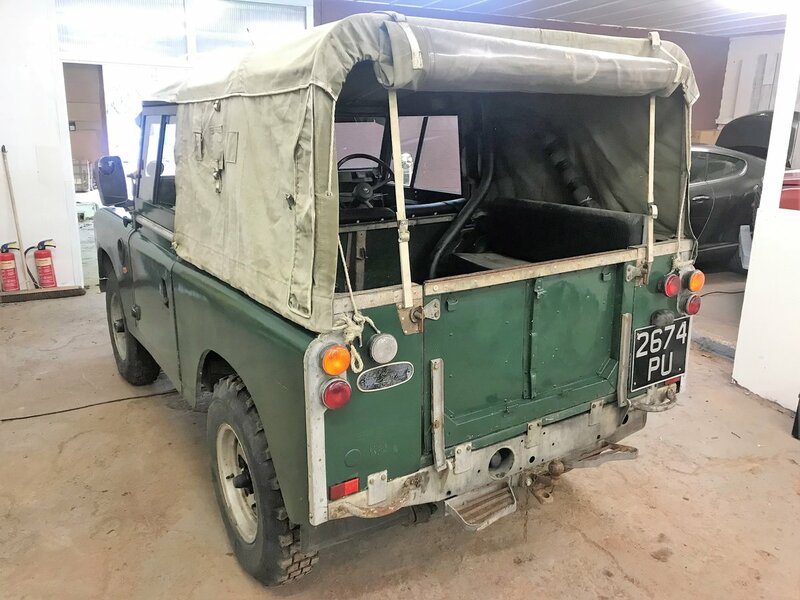 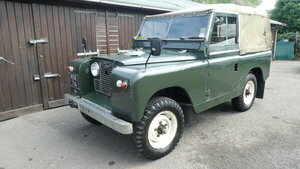 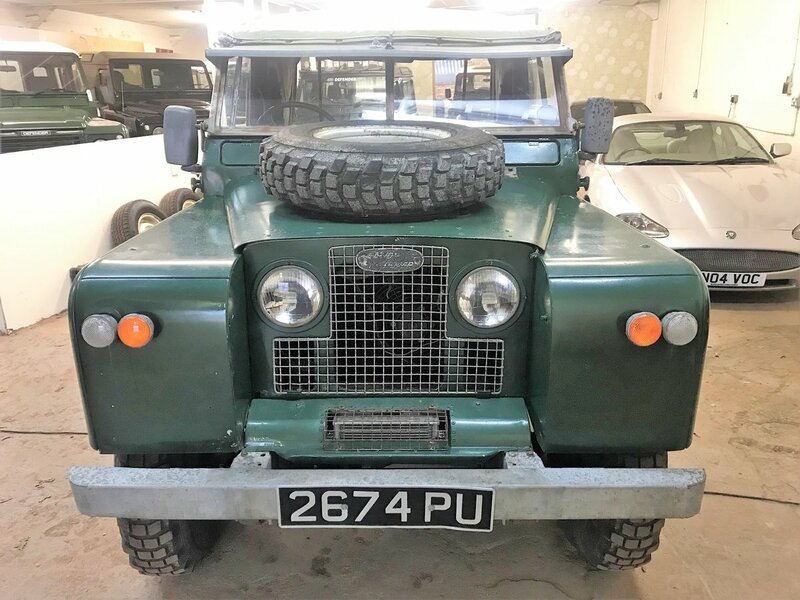 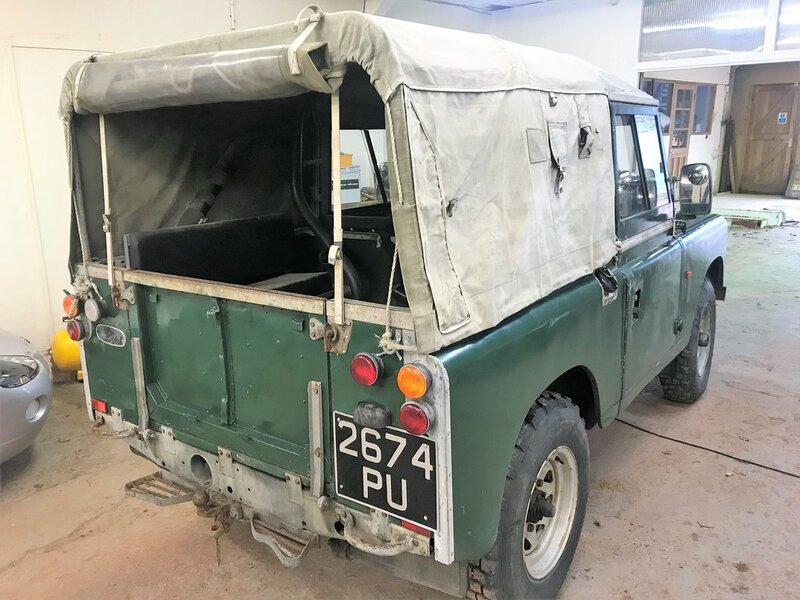 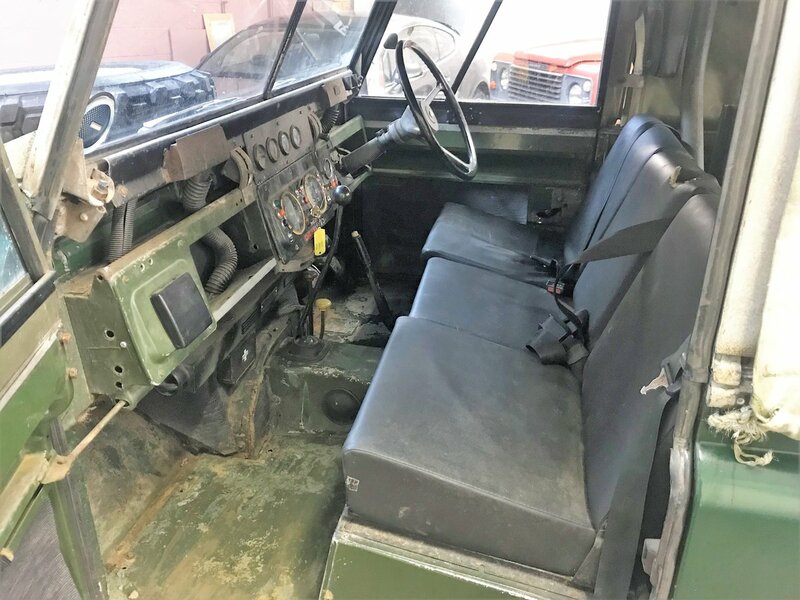 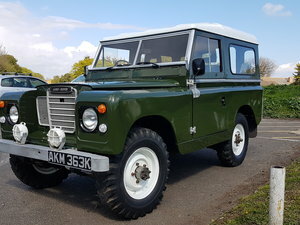 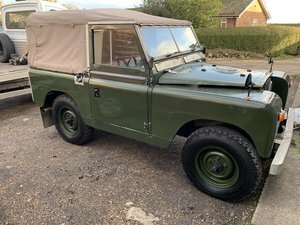 Motodrome are pleased to offer this 1967 example of the ever-popular Land Rover Series IIa, this one a mid-period diesel narrow-headlight model 88in finished in Green, and fitted with a galvanised chassis. 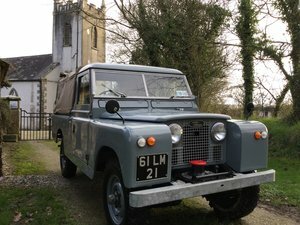 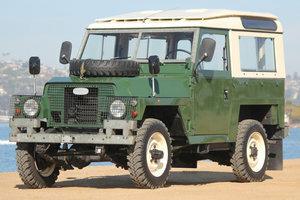 On top of the galvanised chassis, the spec is as follows – it’s been fitted with the later-type 2.5 N/A diesel engine in place of the asthmatic 2.25 so performs a little better, is in 7 seater spec with 3 seats across the front (all with 3 point inertia seat belts) and twin rear benches, the rare sunvisor option, freewheel front hubs, servo brakes, military-spec lights, doortops and tilt, internal rollbar, towpack and rear step. 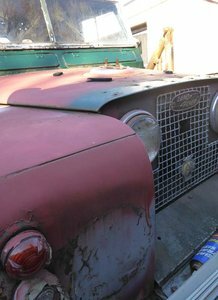 The dash has been fitted with a set of period auxiliary gauges but these look to be removable if more originality is sought. 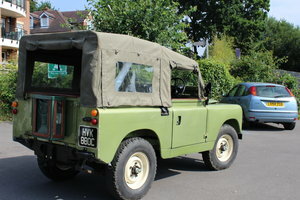 It’s only had 3 owners since 1991, and, whilst it now qualifies for MOT exemption, it comes with MOT to the end of October 2019 and of course qualifies for historic road tax. 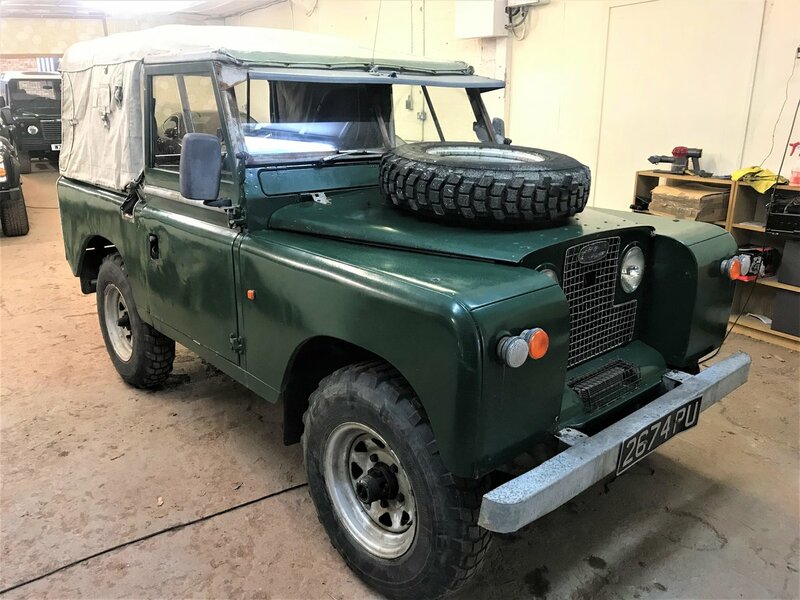 In 2016, following cambelt failure, it went to a local specialist where the engine was removed and rebuilt, before being refitted along with a new clutch. 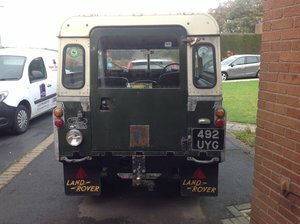 It’s covered around 1000 miles since.